Whin Cottage is a delightfully upgraded detached farmhouse, set in open countryside above the small hamlet of Sliddery on the south west coast of Arran. 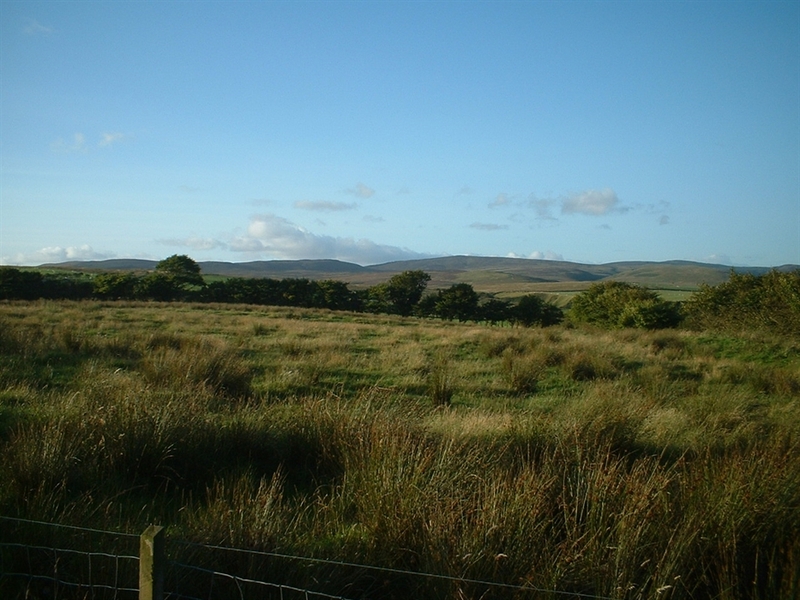 It is south facing with views to the hills, sea, and Ailsa Craig. The cottage, which is double glazed throughout, can sleep 5/6 in three bedrooms: one single, one double, and one family room (double plus single). The cottage has a hand built fitted kitchen, an oil fired Rayburn for cooking and hot water, with microwave and gas hob to supplement. 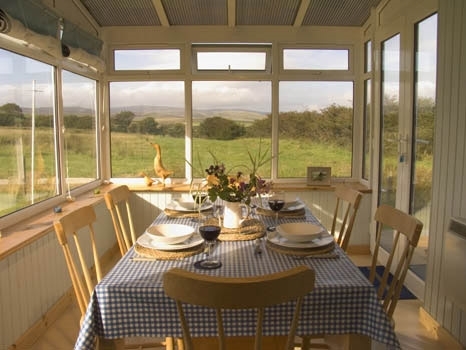 A newly built conservatory provides dining with the wildlife. The open plan living area is cosy and light, with a multi fuel stove. The bathroom has an electric shower over the bath, radiator and a wall mounted fan heater.There is electric heating throughout. 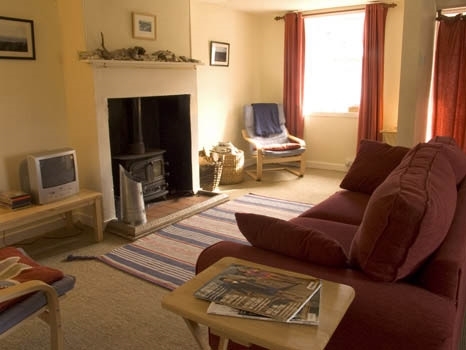 The cottage is surrounded by a lawned garden with patio and outdoor furniture. There are adjoining outbuildings providing laundry facilities and table tennis. There is plenty of space here for storage of bike, golf or other equipment. Our local beach is a fifteen minute walk from the door. Books, games, jigsaws and a good selection of DVDs are available for after dark entertainment. A digital radio ,i-pod/MP3 dock and DVD player are also provided . 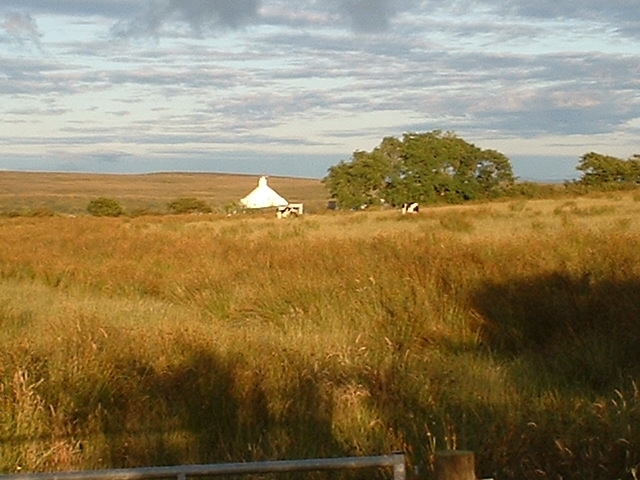 Local hotel/restaurant/inn can be found about 2 miles away in Lagg. Golf, tennis, fishing and horse riding are available at nearby Blackwaterfoot, where the Kinloch Hotel also offers indoor swimming, sauna, squash and snooker. Climbing and walking challenges can be found all over the island, from Goatfell and the mountains of the north to the hills ,beaches and ancient sites of the south. 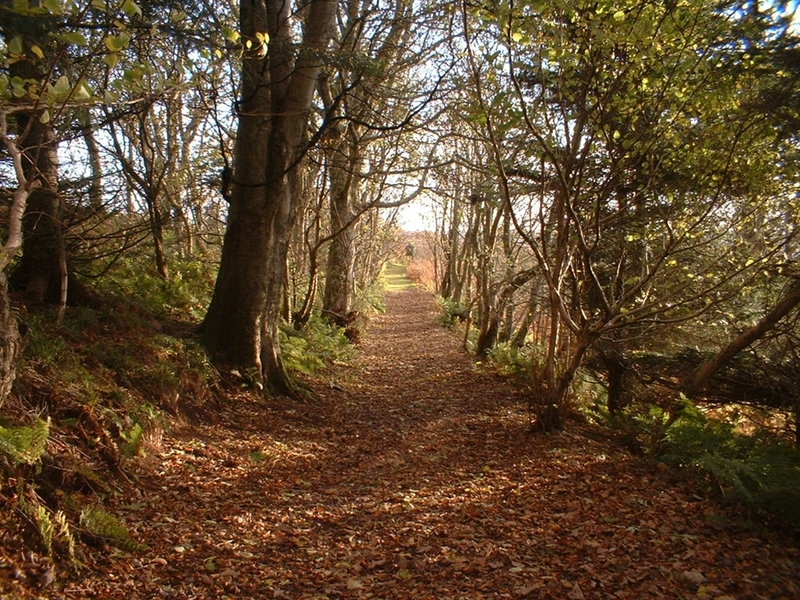 Arran is full of opportunities for both on and off- road cycling along designated trails of different levels. Quiet bays nearby offer sights of seals, sea birds and on occasion otters and dolphins. 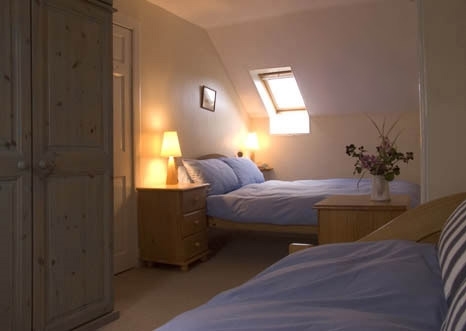 Whin Cottage is an ideal base from which to cycle, walk, enjoy the abundant wildlife, tour ancient historical sites or just soak up the beauty and peace of the countryside. Whin Cottage Whin Cottage View from behind Whin Cottage looking towards Ailsa Craig. View to South Arran hills from cottage garden. Sitting room Conservatory Family bedroom The cottage from the end of the road. Local beach Nearby shore Kildonan Lagg woods, path to beach.